Cupcake for Ramadhan and Idul Fitri 2018 . 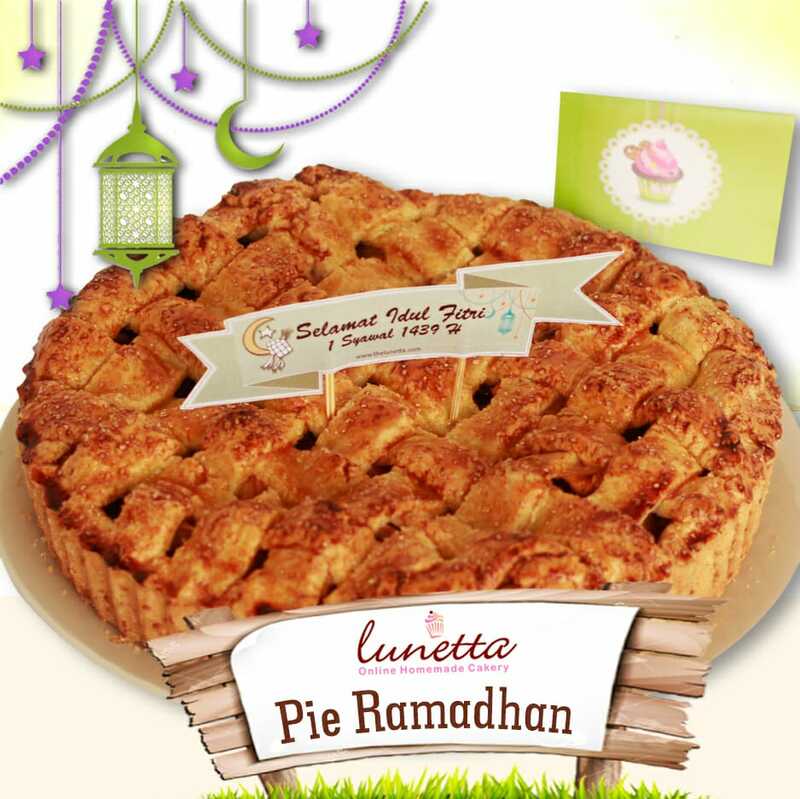 In holy season, let’s celebrate the Ramadhan and Idul Fitri with our Ramadhan Hamper. Our Sticky dates salted caramel is back! This season coming with our new flavor pie, Brownie Choco Pie. 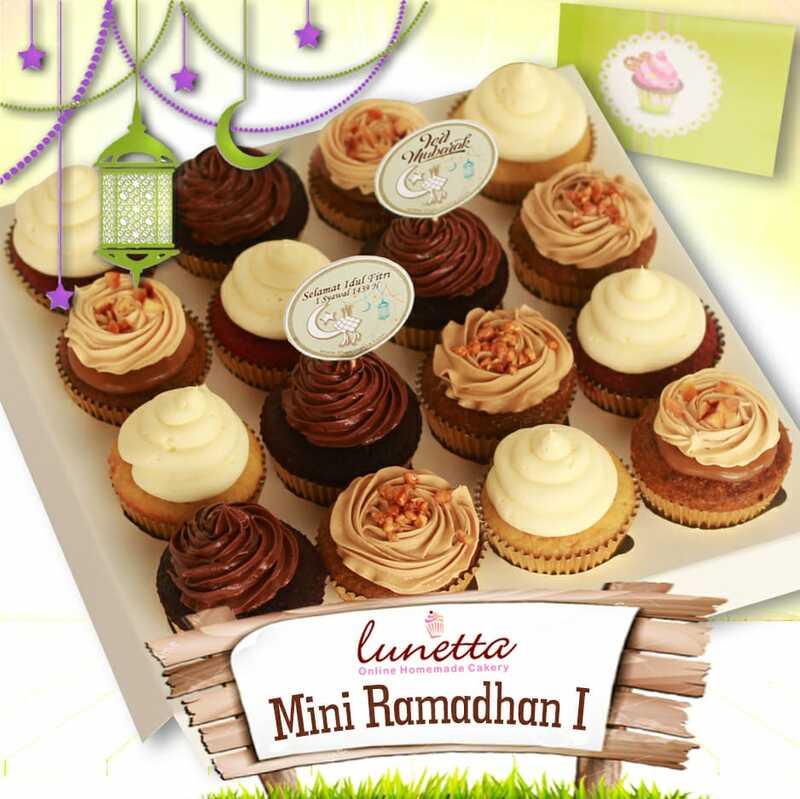 We offer you 2 types of regular cupcakes, 2 types of Mini cupcakes hamper and 3 variant pies. Pie. 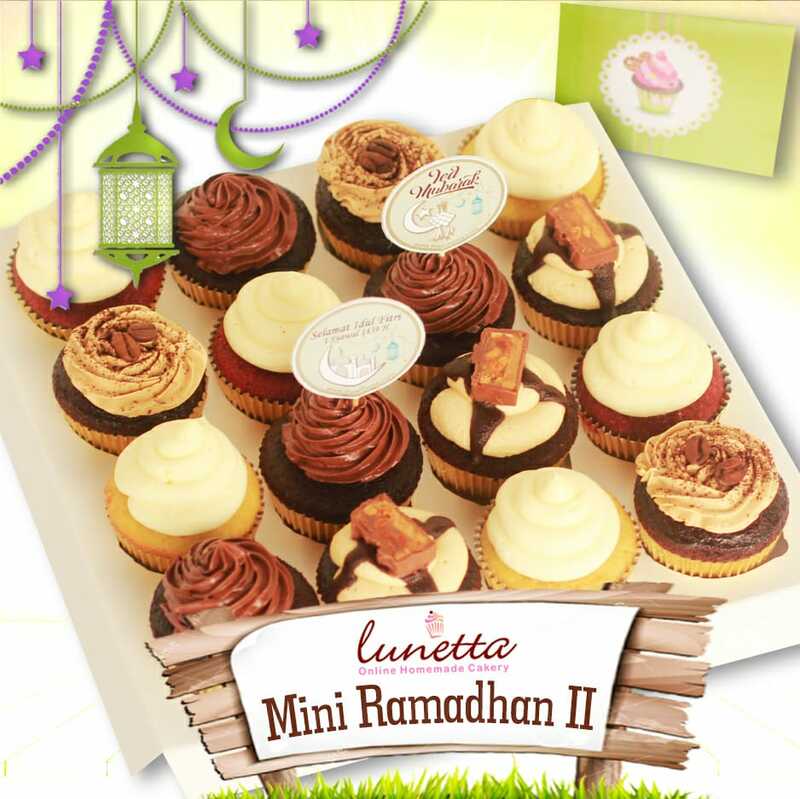 1 box of 12 reguler cupcakes , 6 assorted flavors, 2 Free Flags, 1 free card. 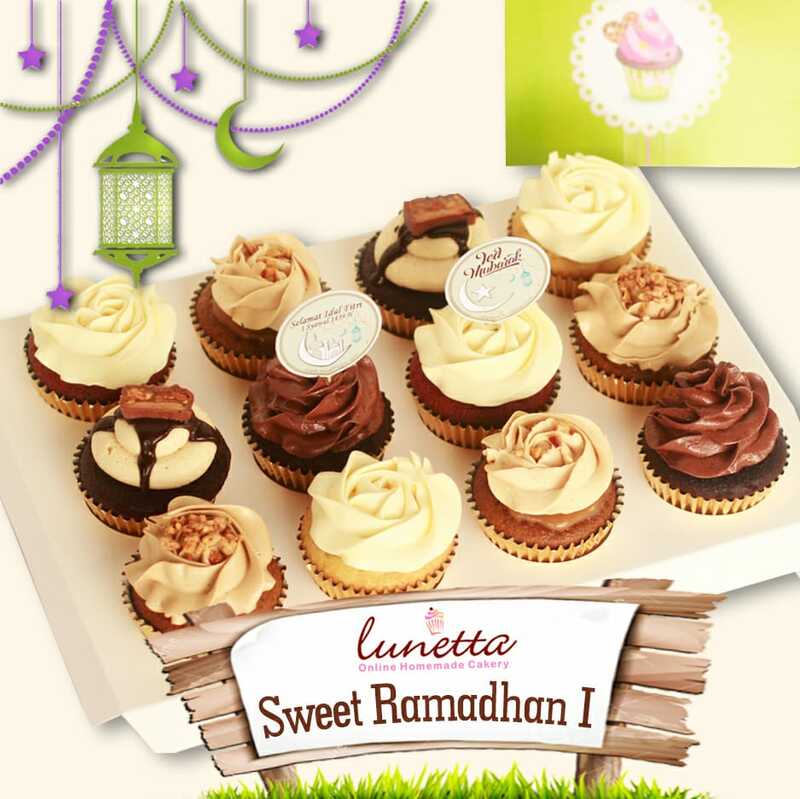 Flavors are : Choco monster , Red velvet, Sticky Dates Salted Caramel, Vanilla Classic, Mocha Nougat and Snick Peak. Flavors are : Choco monster , Red velvet, Sticky Dates Salted Caramel, Vanilla Classic, Snick Peak and Cafe Mocha. 1 box of 16 reguler cupcakes , 5 assorted flavors, 2 Free Flags, 1 free card. 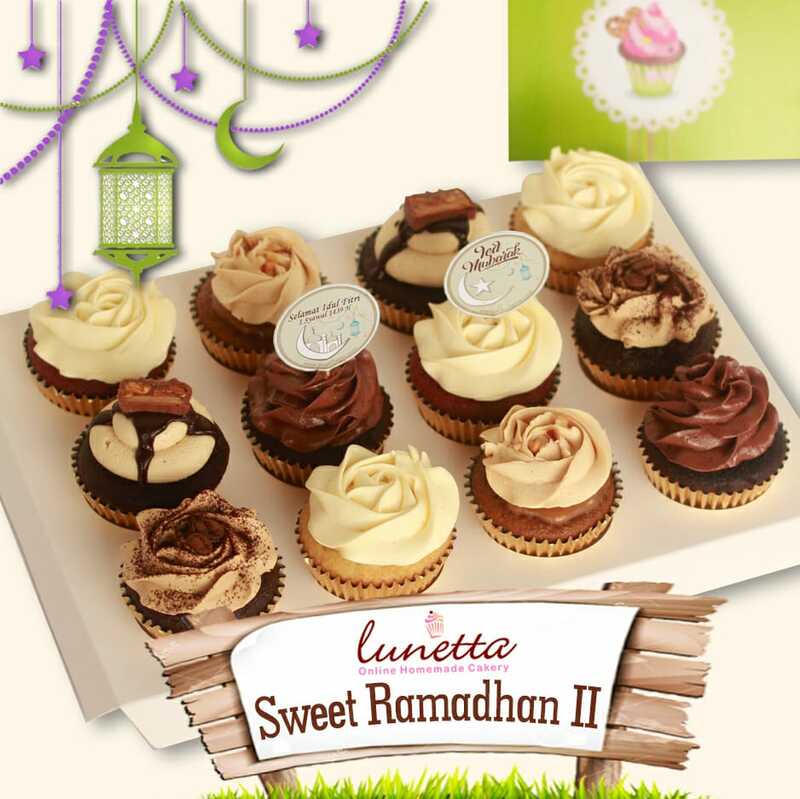 Flavors are : Choco monster , Red velvet, Sticky Dates Salted Caramel, Vanilla Classic, and Mocha Nougat. Flavors are : Choco monster , Red velvet, Snick peak, Cafe Mocha and Vanilla Classic. Each pie is diameter 24.5 cm, 1 Flag, 1 free card.